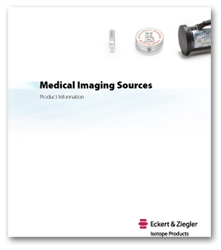 HTSL can provide an extensive range of sealed and unsealed radiation sources for medical imaging and reference that are manufactured to the highest standards and comply fully with applicable national and international standards. We have some of the industry’s most experienced staff and the broadest product range available, as well as an outstanding record for on-time product delivery. In addition to our standard catalogue items, we offer custom and one-off design and manufacturing services. Please download a copy of the brochure on the left and contact us with your requirements.